There's no need to use multiple programs to capture, edit and annotate screen grabs – this free screen capture software can do it all. Snapping a screengrab is rarely as simple as just taking a picture of your desktop. There's a reason behind every screenshot – whether it's posterity, demonstration or preservation – which means each particular case needs something special. That's why we've selected our top five tools for doing more with your screenshots, like adding annotations and fancy adornments, using custom hotkeys, or even accurately capturing specific screen regions without the need to resort to additional software to get the job done. The days of hitting the Print Screen key and pasting your shots into Microsoft Paint are over. How do I take screen captures on a Mac? We've covered Windows apps almost exclusively here, but don't feel left out if you're using a different operating system. On macOS, there's no need for a separate screenshot tool – you can do everything with keyboard shortcuts. [Ctrl]+[Shift]+ captures the whole screen, [Ctrl]+[Shift]+ captures a region, and there are many other edge cases described on Apple's support pages. Screenshot Captor seems to have ideas a little above its station. Far from just being a screenshot app – and, rest easy, it does do that – it'll grab images from your webcam, and it even includes a full suite of scanning tools to make sure your documents look their best. But those advanced features don't stop there. Ever wanted to capture the contents of a scrolling window? It'll do that automatically, and even trim the margins for you. Need to capture a screen region of a fixed size? Piece of cake. Splicing areas out of screenshots, annotating, interfacing with advanced image editors, blurring areas you don't want seen? It's all here. If there's a downside, Screenshot Captor little esoteric in terms of its general interface, but the important bits are all well explained and easy to grasp. It's donationware, so while it's free to use, make sure you chip a little bit into the pot if Screenshot Captor is something you use regularly. If you're capturing screenshots for something that needs to be well presented – a user manual, perhaps – it pays to put in a little effort. Or at least you would if SnapDraw Free didn't do absolutely everything for you: borders, backgrounds and even awesome-looking fading reflections are all available by simply clicking a check box. What's more, you can dig down when it comes to capturing, taking shots of everything from multiple monitors at once all the way down to a single object within a window. It's not quite a fire-and-forget screenshot tool, but that's not a negative. There are ton of annotation features, you can layer individually captured windows and elements on top of a single screenshot, and there are even 3D transformation tools available to give your shots some action. Oh, and you can even automatically upload your images to an FTP server or email them. That's a lot of features. 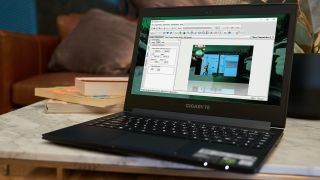 Gadwin PrintScreen is the screenshot app we regularly turn to here at TechRadar, and for good reason. It's streamlined and extremely convenient, sitting quietly in the system tray until you need it. When you do, it's either bound to a hotkey of your choice - handy if you need the mouse cursor in shot - or accessible from a handy auto-hiding control panel that disappears when you fire off a screenshot, capture a window, or snip a rectangular area. Annotation and image editing is sadly locked away in its paid-for Professional edition (US$24.95, about £18.94, AU$33.35), but Gadwin Printscreen doesn't leave you entirely stranded; it can automatically add shadows or watermarks to your images, save them in a number of formats, resize them automatically, or run an image editor of your choice immediately after capture. The latter ability means you can effectively extend its abilities - point it at Microsoft Paint for rudimentary sketching and cropping, or a more powerful free image editor if you wish. Don't be too baffled. Yes, Steam is primarily a way of buying and downloading games. But it also applies its own overlay when you're playing games, one which (among other things) allows you to take screenshots. If you've ever tried to take game shots using Windows' built-in tools (or even some of the other software we've listed here) you'll know why this is important – the advanced graphics modes that games apply usually leave you with a grey image and the moment completely lost. You're not restricted only to games available through Steam, either – just about everything you own can be added to your Steam library manually, and as long as you launch it through Steam you'll get the benefit of its overlay, which defaults to using [F12] as a screenshot key. Shots are usually saved to an obscure folder which differs for each game, so check up on them through Steam's View > Screenshots menu, then right-click and select 'Show on disk' to find out where they are. It's simple, but it has the power to take useful screen captures. Not only can you grab fullscreen images, rectangles and the current active window, it's also capable of performing free-form snips: drag your mouse around the area on screen you're interested in highlighting and it'll bring in only those pixels within your sketch. You can scribble on your shots with rudimentary pen and highlighter tools, set a delay on captures if you need to set something specific up, but that's literally it: the Snipping Tool is very, very basic when it comes down to it, and most of the time you'll be better off using Windows' built-in screenshot tools unless you want to capture a very specific region.